Fri., April 27, 2018, 5 a.m.
Gary Karr was sitting in the lobby of a San Francisco concert hall after a rare performance last year, signing copies of his CDs, when a man in his early 70s with a white goatee and beret approached the table. “He said, ‘Do you take commissions?’ ” the renowned double bassist recalled. “We exchanged (business) cards. I figured I’d never hear from him again. Anderson commissioned composer Richard Marriott to write the Klezmorim Concerto for Double Bass and Orchestra, which will receive its world premiere Monday at the Martin Woldson Theater at the Fox with Karr and the Gonzaga Symphony Orchestra. Conductor Kevin Hekmatpanah and the orchestra will open with Edward Elgar’s Enigma Variations and Karr will also perform Giovanni Bottesini’s Reverie and Tarantella. Karr admitted he was “absolutely aghast” when Anderson first approached him. For Anderson, this is part of The Concerto Initiative, which he launched in 2013. He collaborated with Marriott on the project’s first work, the Metropolis Concerto for Violin and Wind Ensemble, which debuted in 2015. The melodies were drawn from Marriott’s score to accompany the 1927 silent film “Metropolis” by Fritz Lang. 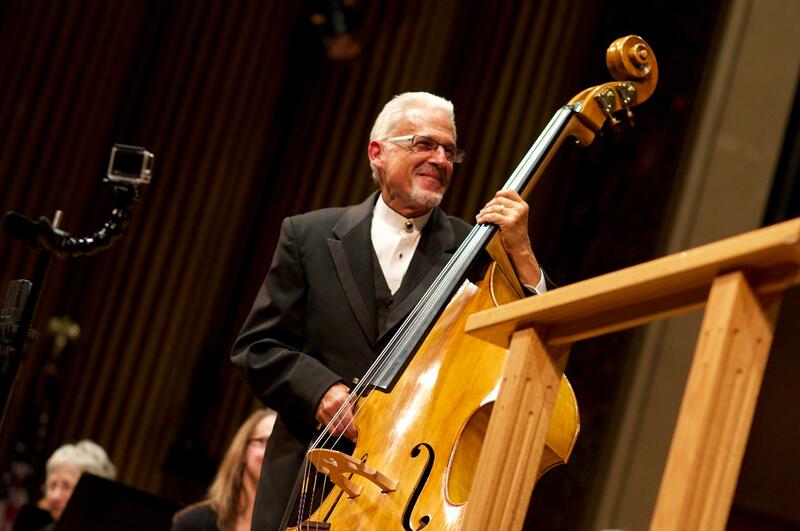 Karr, who first came to prominence in 1962 on the Young People’s Concerts with the New York Philharmonic hosted by Leonard Bernstein, became the first to make a solo career out of playing the bass. Karr said he has had more than 20 concertos composed for him. That includes one by the late Gunther Schuller, the longtime Northwest Bach Festival music director as well as a former conductor of the Spokane Symphony. When prodded, Karr admitted the Schuller wasn’t his favorite. Years later, when Karr was teaching at the University of Hartford, the music department decided to have a weeklong event to honor Schuller. Surprisingly, Karr said, Schuller requested the bassist play the concerto again. Karr, who retired from touring in 2001, said he plays only a handful of concerts a year, usually within driving distance of his home in Victoria, British Columbia. He also played with the GU orchestra in 2015. Published: April 27, 2018, 5 a.m.